In the summer of 1968, Jim Henson met Johnny Hart, the creator of the popular comic strips B.C. and The Wizard of Id. They discussed the idea of creating a television show based on The Wizard of Id that would combine puppets with an animated background. That fall, puppets were built, and Jim and his colleagues made a presentation to Hart’s publisher, the Publishers-Hall Syndicate. The response was positive and in early 1969, Jim shot a test pilot. Robert Reed of Publishers-Hall spent the next year and a half trying to sell the show to the networks as a series or as several specials. 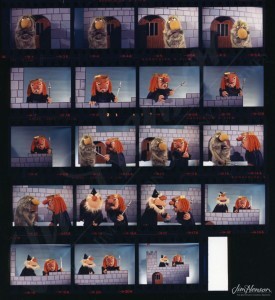 In September of 1970, ABC expressed interest in making a Wizard of Id feature film, but, by that time, Jim was busy with Sesame Street, the Tales of Muppetland specials, and his variety show appearances and decided not to take the idea any further. Jim loved comics and cartoons and collected books of Pogo, Peanuts, Dennis the Menace, Li’l Abner, Charles Addams, Jules Feiffer, Roger Price, James Thurber, and Johnny Hart. During the 1960s, Jim pursued several projects based on classic fairy tales, but the Wizard of Id project was the first time Jim sought out a creative collaborator with an existing character group. The snarky humor of Hart’s B.C. and Wizard of Id appealed to Jim, and he saw how his sensibility overlapped with these funnies. It was a good match, both comically and visually, even if it never made it on the air. It wasn’t until 1977 that Jim found another outside property that enticed him – Russell and Lillian Hoban’s Emmet Otter’s Jug-Band Christmas. 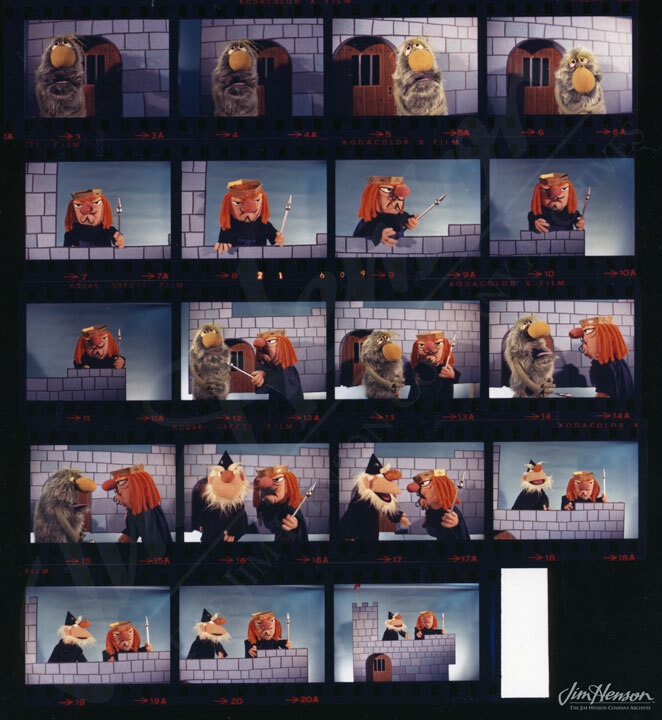 See a sample of Jim Henson’s test pilot of Johnny Hart’s Wizard of Id here. Jim’s characters for Wizard of Id, 1969. This entry was posted in 03-March '69, 1969 and tagged cartoons, comics, Johnny Hart. Bookmark the permalink.